There’s a viral meme that keeps doing the rounds on my Instagram feed of Cruella de Vil frantic at the wheel as she’s tearing down the (albeit animated) road at what we can assume is Disney’s equivalent of 150mph. The caption aptly reads: “Me trying to excel in my career, maintain a social life, drink enough water, exercise, text everyone back, stay sane, survive and be happy.” You’ve probably seen it. Actually, you’ve probably liked it, shared and screen-grabbed it for WhatsApp (see below for verification). Which is why I’m pretty confident that when I say most of us could benefit from a meditation retreat right now, you’re among those who’d more than agree. If you lost your equilibrium 73 email notifications ago, feel like you’re constantly on the brink of throwing your phone/laptop/iPad out the window or just want to assume the foetal position right about now, I’d say you’re long overdue for a time-out. So keep scrolling for our pick of the best UK meditation retreats—perfect for disconnecting from the noise, letting go of stress and recalibrating your zen. Why: If “less noise” is what you’re craving, Gaia House is ideal—the Buddhist retreat focuses on silent Insight Meditation. Yep, zero chat. While there’ll be talking during your guided meditation sessions or teacher-led discussions, the house and (seriously incredible) grounds generally operate in silence throughout the rest of the day. You can choose to either join a group retreat or—if you’re more seasoned in your practice—book a personal retreat where you’ll embark on a journey of solitary meditation. Why: If you haven’t got heaps of annual leave to take advantage of, Annie Clarke’s Mind, Body, Bowl one-day retreats in London are ideal. Combining relaxing yoga sessions with meditation workshops, you’ll get the chance to hit pause and explore your mind without the added stress of taking too much time off. If you’ve got more time to spare, look out for the long weekend Pause retreat in Somerset. Why: If you’ve got a yearning for some fresh air with your meditation, this is the place for you. The Dhanakosa Centre runs various retreats throughout the year, combining Buddhist meditation with yoga, tai chi, photography and more, but it’s the eight-day Hillwalking and Meditation course that’s caught our eye. Along with guided and solo meditation sessions, you’ll also embark on several walks across the Scottish Highlands to reconnect with nature and blow away the cobwebs. Dhanakosa operates on a Dana economy, where (after a £75 booking fee) you pay what you can afford for the retreat via a donation—this way the centre can remain open to helping to everyone, regardless of financial circumstances. Why: Mindfulness is at the heart of this meditation retreat, and courses range from Mindfulness for Beginners and Breaking Free From Burnout to Walking Retreats and Conscious Cookery. If you’re less into the Buddhist tradition of meditation, this more relaxed approach might suit you better. Once you’ve completed your retreat, it’s also worth investigating The Vineyard Kitchen, where you can sample wine and cheese all made on the Sharpham estate. Why: If you’d rather meditate without guidance or have specific topics you’d like to cover, The Scarlet in Cornwall is the ideal place to stage your own DIY meditation retreat. 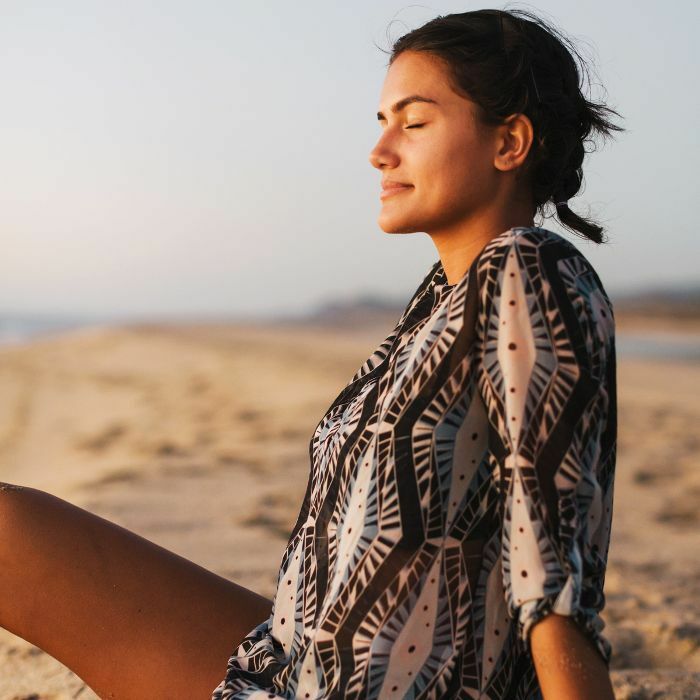 Inspired by Ayurveda, the spa offers one-hour guided meditation classes to help you set your intentions during your stay, and then you’re free to either find a spot on the hotel’s breathtaking slice of coastline and go it alone or book private meditation lessons starting from £70. The hotel spa also offers a one-day package centred around rebalancing your energy, which includes a meditation workshop, a 30-minute massage, a healthy lunch and hot tub time.